When we heard of the new boutique cafe that has opened at Vinegar – the store that has been making the rounds in the news in recent times, we were looking forward to give it a try. So we put on our tasting hats and drove off to check out this cozy little coffee shop called G Cafe, snuggled inside the fashion store. The menu is limited but looks very interesting and innovative. Options include salads, sandwiches, tarts, smoothies and other beverages. Before we started our meal we were told that the portions that that will be served are only tasting portions and will be soon converted into generous servings once the cafe is fully functional. To begin with, we ordered the Hazelnut, Almond & Chocolate Smoothie which was quite decent, but then again, you can’t really go wrong with chocolate, can you? And the Berry Smoothie (Raspberry + Blueberry + Strawberry) which lacked flavour and could have been a tad bit sweeter. That’s where our disappointment ended. 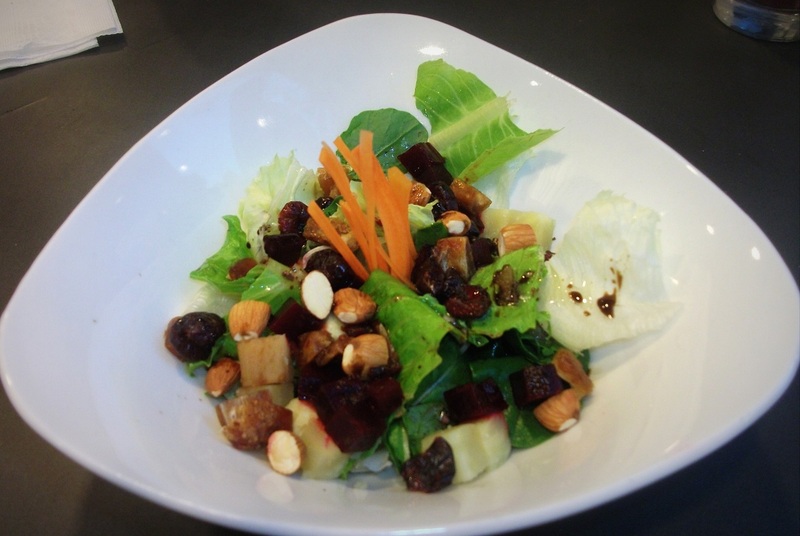 Coming to the food, we first ordered the Mixed Greens, Roasted Almonds & Cranberry Salad. It was nutty, delightful and as amazing as the ingredients made it sound. Since we couldn’t decide which open sandwich amongst the two choices sounded better, we called for both. 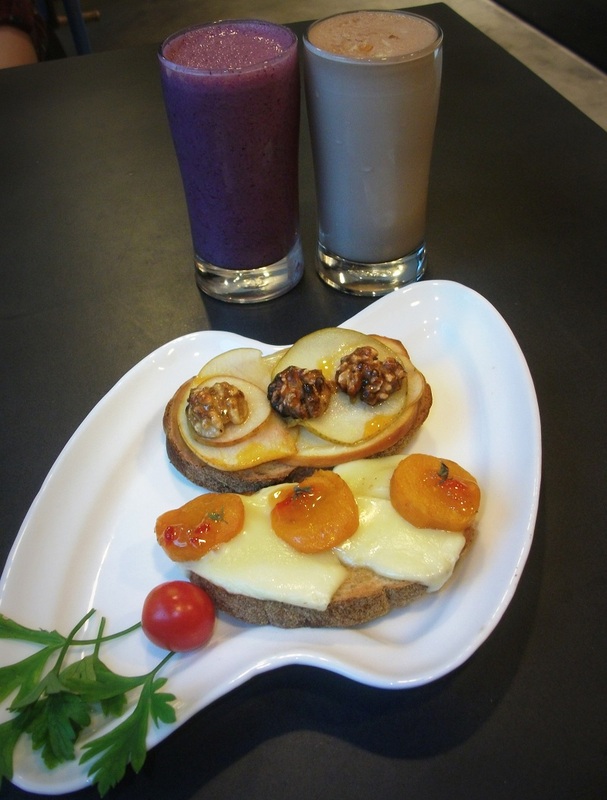 The Caramalized Pears & Candid Walnut sandwich and the Roasted & Marinated Pumpkin with Mozzarella sandwich, both were full of flavour and comprised of interesting combinations of fruit and cheese. When we thought our amazement ends there, we were served the desserts! The Banoffee Pie was below average but the Tiramisu made up for it. 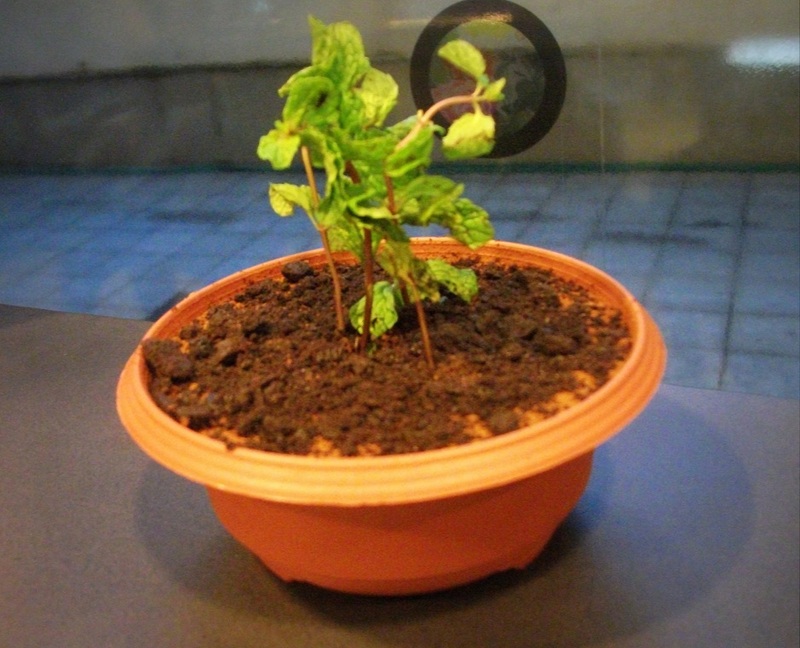 Served in a flower pot with cookie crumbles on top and a strong punch of rum, this one was surely a winner! Overall, G – Cafe is for all you Masterchef fans, they have blended some great ingredients and put together a wonderful menu. We are definitely going back here, especially for that Tiramisu!